Property investment can be volatile, so should real estate investment be a component of your portfolio? The problems of the sub-prime mortgage fiasco have never really disappeared, and we still hear of foreclosures, short sales, opportunities and lost dreams – so does real estate offer good investment potential or not? Here are some pros and cons that might help you make your own decision. It makes sense to diversify your portfolio by investing in a variety of different potential opportunities. Real estate investment is a long-term strategy, where we are considering tens of years before you can make a worthwhile ROI. However, it is relatively risk free and is almost certain to realize a return eventually. Inflation is a real threat to investments. Not only must you make a yield, but it must be a genuine yield when inflation is taken into account. As the value of your dollar decreases with rising economies, rental and home prices increase, and you can use an element of property investment in your portfolio as a hedge against inflation. Also keep in mind that you will receive a regular rental payment to cover some costs of ownership. Paper money can disappear in the blink of an eye. You have no need to go back to October, 1929 to understand that. By investing in real estate, you have a tangible asset that is yours, and that you can retain irrespective of the state of the markets. The time will come when property once again realizes its original purchased price and then exceeds it. Even if you employ a property management company to maintain and manage your real estate, you will have maintenance and repair costs to pay over the lifetime of your property ownership. 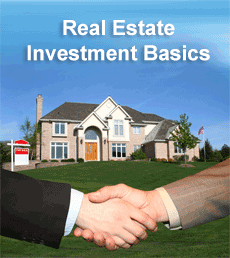 Real estate investment involves ongoing costs that must be recovered before you make a profit. Insurance costs are part of your investment, as are the costs of the property manager who deals with tenant problems and everyday maintenance issues. Property investment is too complex a form of investment for many people. If you invest in the wrong property, then your real estate investment could lose value. Climate change can cause inundation of flood plains that had previously been cleared for building. CNN reported in March, 2012, that 5 million American homes are threatened by flooding due to rising sea levels, and increased rainfall will undoubtedly increase this figure. Affected property will lose its value, and many will become uninsurable and unsellable as is happening in the UK right now. Fashionable downtown homes can lose their value as residential tastes change, and condos and beach properties are not guaranteed to appreciate above today’s prices. Not only that, but the death of traditional industries in many locations, such as the drop in car manufacture in Detroit, leads to a glut of housing that nobody wants. As a factor in your portfolio, bricks and mortar are tangible assets that are generally worth including, even if just as a form of stability in the event of stock market decline. Is real estate investment a good component for your portfolio? Probably yes, as long as your property investment is carried out after careful research of the geography and demography of the area concerned. Population trends, investment in industry and changing climatic conditions must all be considered before investing in property.